A Rab5 endosomal pathway mediates Parkin-dependent mitochondrial clearance. Mitochondria are sequestered inside Rab5+ endosomes after FCCP treatment in WT and Atg5-/- MEFs. Wild-type (WT) and Atg5-/- mouse embryonic fibroblasts (MEFs) were transfected with GFP-Rab5, nanobody against GFP (VHH)-APEX2, HA-Parkin, and mPlum-mito-3 using Fugene 6. Cells were treated with DMSO or 25 uM FCCP for 4 hours and fixed with 2.5% gluteraldehyde. 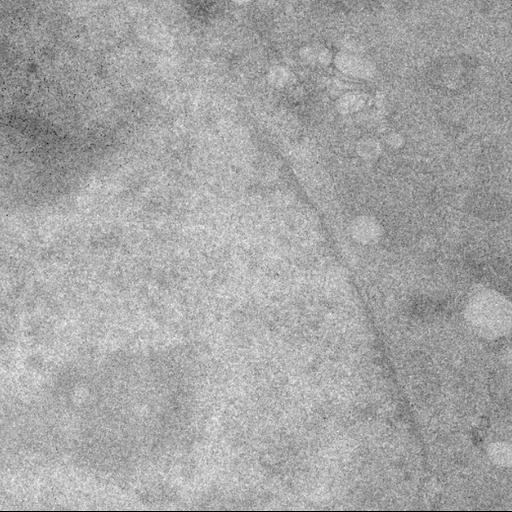 Cells were imaged by confocal microscopy and subsequently processed and imaged for transmission electron microscopy. Colocalizing puncta found by confocal microscopy, indicating mPlum-mito-3+ mitochondria within GFP-Rab5+ early endosomes, were correlated to their location in the electron micrographs. Tomograms were acquired of these locations, which morphological confirm the presence of mitochondria within single-membraned early endosomes. Welcome to the new CCDB portal! If you still need to use the old gridsphere CCDB portal, please click here.